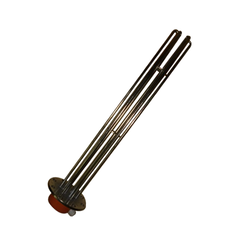 Providing you the best range of bobbin acid immersion heaters, flange immersion heater, immersion heater, flange heater and lead cover immersion heater with effective & timely delivery. Our company is pioneer in the manufacturing, supplying, trading, service providing, importing and exporting Bobbin Acid Immersion Heaters. 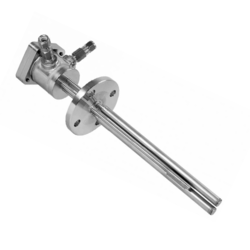 Designed and fabricated in accordance with the guidelines of the industry by our expert team, these heaters are available in different diameters. In addition to this, these are extensively used chemical tank and transformer oil tank applications. Moreover, our clients can avail these heaters at market leading prices. Heater Material S.S 304 , S.S 202 , Seamless etc. 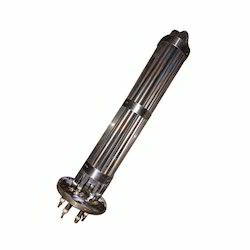 Heater Material S.S 304, S.S 202 etc. Heater Material S.S 304, S.S 202, Seamless, Copper etc. 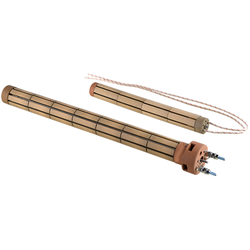 We specialize in the domain of manufacture, supply, trade, service provider, import and export of Lead Cover Immersion Heater. Appreciated by our customers for their immaculate finishing and effectiveness, these are constructed using best raw material which is purchased from authentic vendors. These are available in customized range and compliance with industry standard. Apart from this, these heaters are used for heating sulfuric acid solution and heating cleaning solution.